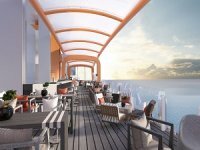 Carnival Cruise Lines' new 113,300-ton CARNIVAL SPLENDOR - representing a new class of vessel with a host of innovations including exclusive new "spa staterooms" that surround a luxurious 21,000-square-foot health and wellness centre. Carnival Cruise Lines' new 113,300-ton CARNIVAL SPLENDOR - representing a new class of vessel with a host of innovations including exclusive new "spa staterooms" that surround a luxurious 21,000-square-foot health and wellness centre -- will debut in July 2008 operating the line's first-ever Northern European cruise programme. 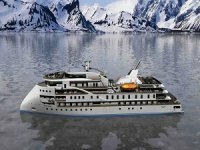 These 12-day Northern Europe voyages, which will operate July 13 - Aug. 30, 2008, will offer guests a diversity of shoreside experiences with visits to historic, centuries-old cities in Denmark, Germany, Finland, Russia, Estonia, and The Netherlands. 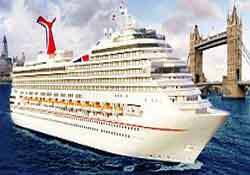 Following the Northern European voyages, CARNIVAL SPLENDOR will operate a unique 12-day London-to-Rome cruise Sept. 11, 2008, then sail on a series of 12-day Mediterranean voyages Sept. 23 - Oct. 17, 2008. CARNIVAL SPLENDOR will be the second Carnival ship deployed in Europe next year, joining the Carnival Freedom, which will operate a program of 12-day Mediterranean cruises May-October 2008. 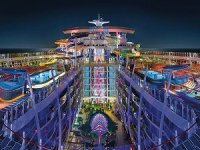 "Consumers are discovering that cruising is the best way to see Europe as it provides the opportunity to experience and explore multiple destinations while enjoying the comfort and convenience of a modern 'floating resort,'" said Bob Dickinson, Carnival president and CEO. 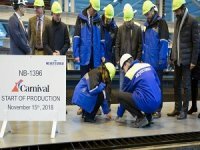 "CARNIVAL SPLENDOR represents a new class of 'Fun Ship' offering a number of innovative facilities and features and, for its inaugural season, we've assembled a truly diverse schedule that showcases the fascinating cultures, history and architecture that has made Europe such a sought-after cruise destination," he added. 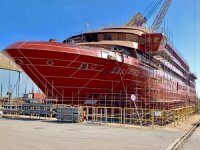 Dickinson noted that with its all-inclusive amenities and diverse itineraries, a "Fun Ship" cruise is already the most affordable way to see Europe and the high dollar/euro ratio makes this value even greater. He added that in addition to experiencing an all-new class of "Fun Ship," CARNIVAL SPLENDOR's Northern Europe cruises also offer an exciting new option for those guests who have sailed on the line's Mediterranean program in the past. 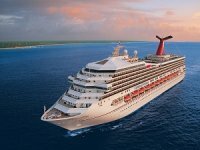 Also included in CARNIVAL SPLENDOR's 2008 inaugural season will be a 16- day transatlantic voyage departing Rome Oct. 29, as well as a series of seven- day Caribbean cruises from Fort Lauderdale commencing Nov. 22, 2008. A special one-time four-day eastern Caribbean cruise will depart from Fort Lauderdale Nov. 17, 2008. CARNIVAL SPLENDOR is slated to debut July 13, 2008, with a 12-day Northern Europe cruise departing from Dover -- the first of five voyages within the programme. Other departure dates include July 25 and August 6, 18 and 30, 2008. Featured ports on these voyages include Copenhagen, Denmark; Warnemunde (Berlin), Germany; Helsinki, Finland; St. Petersburg, Russia (two-day call); Tallin, Estonia; and Amsterdam, The Netherlands. Guests will have the opportunity to experience and explore a spectacular variety of historical and cultural attractions including St. Petersburg's extraordinary palaces, Berlin's Brandenburg Gate, Amsterdam's Vincent Van Gogh Museum, and Copenhagen's Tivoli Gardens just to name just a few. Following its Northern Europe cruises, CARNIVAL SPLENDOR will operate on a special one-time 12-day western Mediterranean cruise departing Dover Sept. 11, 2008, and arriving Rome (Civitavecchia) Sept. 23, 2008. The voyage includes port calls to Le Havre (Paris), France; Vigo, Spain; Lisbon, Portugal; Malaga and Barcelona, Spain; Cannes, France; and Livorno, Italy. CARNIVAL SPLENDOR will then operate one Grand Mediterranean and two Mediterranean & Greek Isles cruises round-trip from Rome (Civitavecchia) Sept. 23 - Oct. 17, 2008. The 12-day Grand Mediterranean cruise will depart Sept. 23, 2008, and call at Naples and Venice (two-day call), Italy; Dubrovnik, Croatia; Messina, Sicily; Barcelona, Spain; Cannes, France; and Livorno, Italy. The two 12-day Mediterranean & Greek Isles cruises will depart Oct. 5 and 17, 2008, calling at Naples, Italy; Marmaris, Izmir (Ephesus) and Istanbul, Turkey, with scenic cruising of the Dardanelles; Athens (Piraeus) and Katakolon, Greece; and Livorno, Italy, as well as an overnight call in Rome (Civitavecchia). Following its Mediterranean/Greek Isles cruises, CARNIVAL SPLENDOR will sail on a 16-day transatlantic crossing that will depart Rome on Oct. 29 and arrive Fort Lauderdale, Fla., Nov. 14, 2008. Ports of call include Barcelona, Palma de Mallorca and Malaga, Spain; Funchal (Madeira), Portugal; and St. Maarten, Netherlands Antilles.